I have a boring credit card. It doesn’t feature the logo of my favorite NFL team or my college’s insignia. It’s just blah. I need to change that, and there all kinds of ways to personalize your cards these days, from a picture of your child to an image of your favorite Disney character. And starting in September, there will be a new way to add some sci-fi pizazz to your plastic. 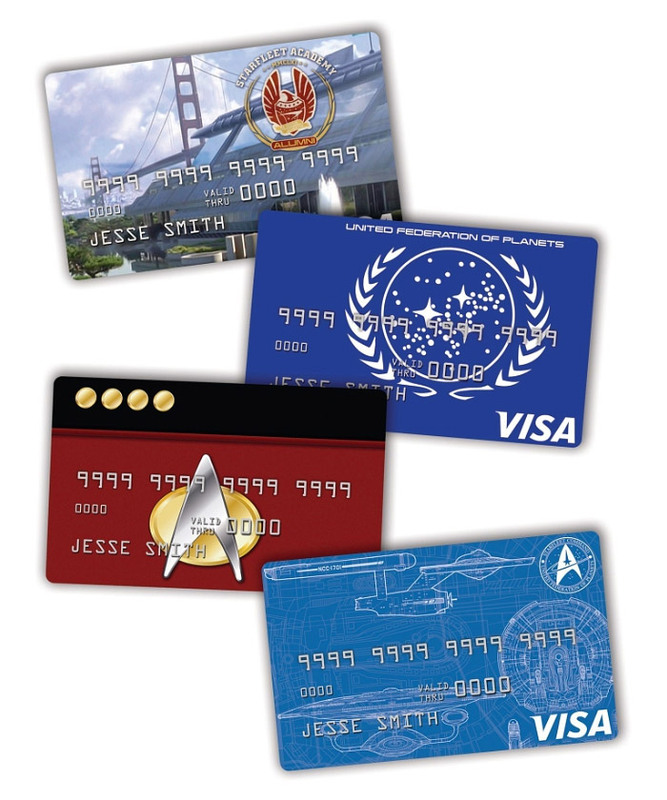 The NASA Federal Credit Union is coming out with a series of Star Trek-themed credit cards this fall. There will four different versions: the Captain’s card, Starfleet Academy Alumni card, Starfleet Command card and, my favorite, the United Federation of Planets Card. These days, when you get a new credit card there is usually a loyalty program that goes along with it that has something to do with the sponsor, and these cards are no different. According to the NASA bank, these cool cards “will provide unique rewards of Star Trek merchandise and experiences.” That’s as specific as they are getting right now, but one can only hope that given NASA’s resources and the desires of Trekkies that earning millions of points for a chance to go into space will somehow have to be part of the program.